60 Kms from Bangalore and off Magadi, Savandurga is another popular one day outing destination around Bangalore. 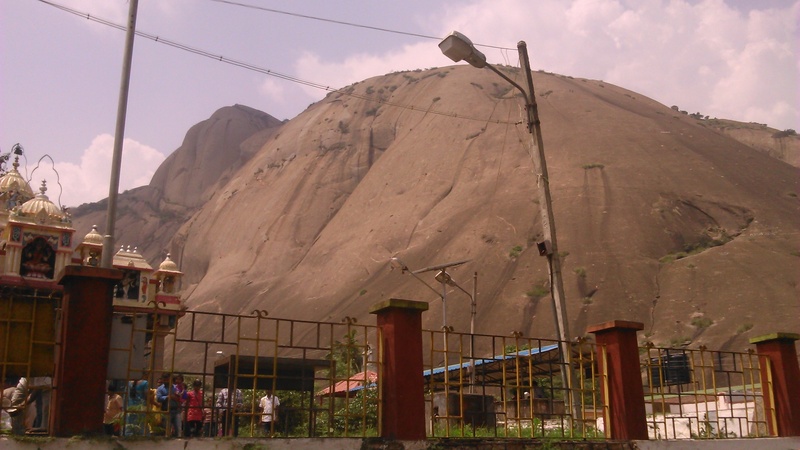 The hill of Savadurga is considered to be the largest monolithic hills India and one of the largest in world. The Arkavathi river passes nearby through the Thippagondanahalli reservoir and on towards Manchanabele dam. There are two temples situated at the foothill, Savandi Veerabhadreshwara Swamy and Narasimha Swamy. These temples are worth visiting. You can also do rock climbing. The hill is more than 1200 meters above sea level and offers excellent climbing adventure. But you have to be very carefull. Always have a extra pairs of snickers/sports shoes handy. The temple is situated near Tumkur and not very far away from Bangalore. Its approximately 60 Kms from Bangalore.There are 2 routes to reach Savandurga, but below is the easiest one. If you are residing in Bangalore, head towards Tumkur road. You will cross Neelamangla. After that take a turn towards Magadi. Once you reach Magadi take a letf towards Savandurga. good one day trip and a nice place to trek. but the trek is a bit tough. so, please take extra care. 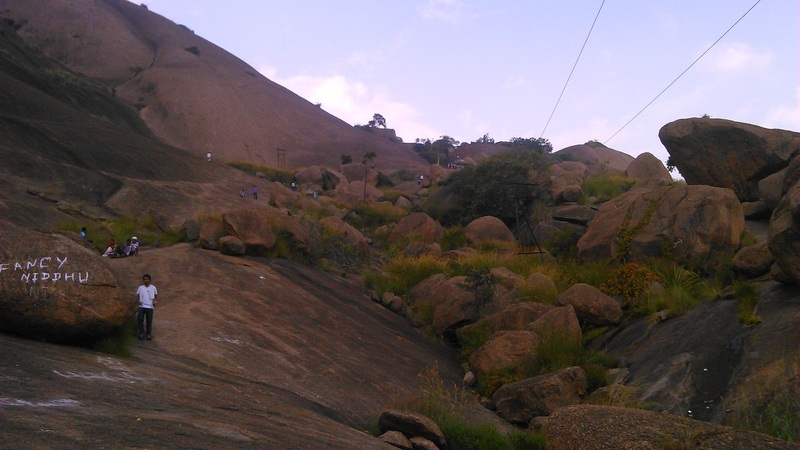 This is one of the best places for rock climbing near Bangalore. But the trek uphill is very tiring. I had lot of trouble with my sandals. Better to wear sport shoes for this trip.